There is an immense variety of birds, plants, mammals and insects in your backyard or nearby park. 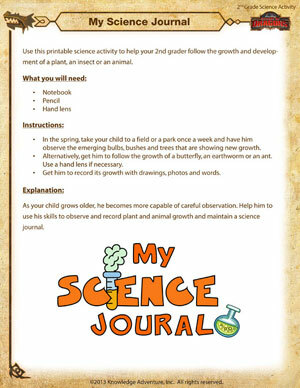 Maintaining a science journal helps your child record his observations about the living things he sees around him. Check out this great printable 2nd grade science activity to introduce your budding scientist to basic scientific concepts. And if he enjoyed it, have him browse through these cool science experiments for all grades.